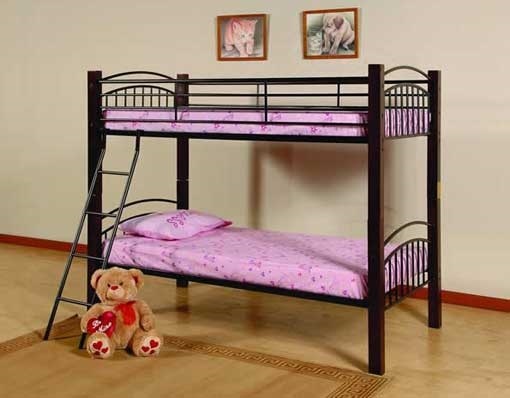 MEG-43009 Wooden Post Bunk Bed is available in Single / Single with the following dimensions 79″L x 54″W x 66″H for $298.88. The piece has a charming casual style, with black metal tubing featuring a gentle arch. 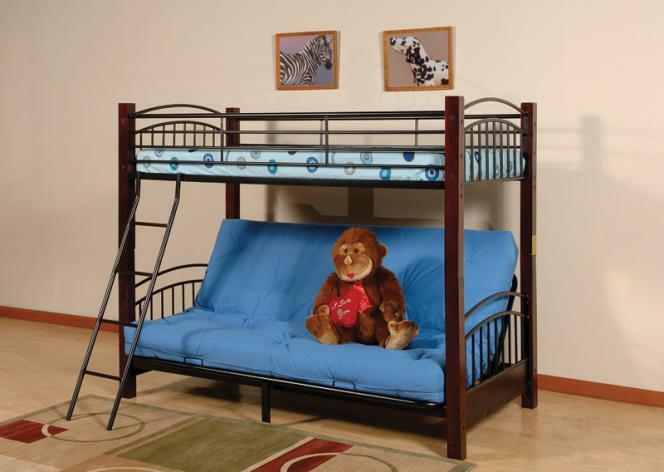 Metal side guard rails will keep your child on the top bunk, while an attached ladder makes it easy to get up and down. Rich medium espresso wood posts at each corner soften the look. A futon below can be used as a sofa, or folded down to a full size bed. All items are brand new and packed in the boxes and are easy to set up.